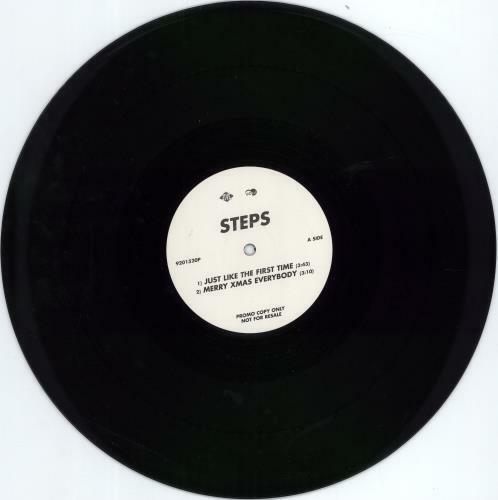 STEPS Just Like The First Time (2002 UK 4-track promotional-only vinyl 12", also including Merry Xmas Everybody, Last Thing On My Mind [WIP'T Up In The Disco Mix 5:35] and Love's Got A Hold On My Heart [W.I.P. Off The Wall Mix 6:10]. With custom printed labels and housed in a plain die-cut card sleeve 9201520P). or visit our Steps image gallery.